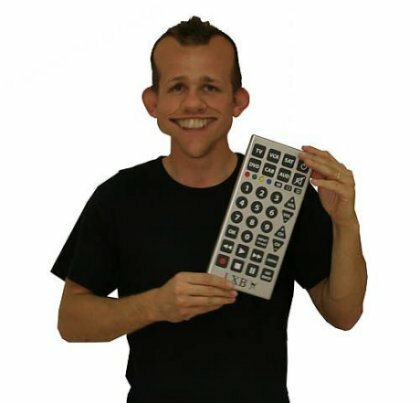 If you’re fed up with misplacing your remote try this out for size the BIG button remote control. The big button is a universal remote control that measures a stupidly large foot in length, ideal for giants or people with exceedingly fat thumbs. The remote is available from Red 5 for £20 (~$40). we actually have a few of those and they are almost too big. my mom thought they would be cute.